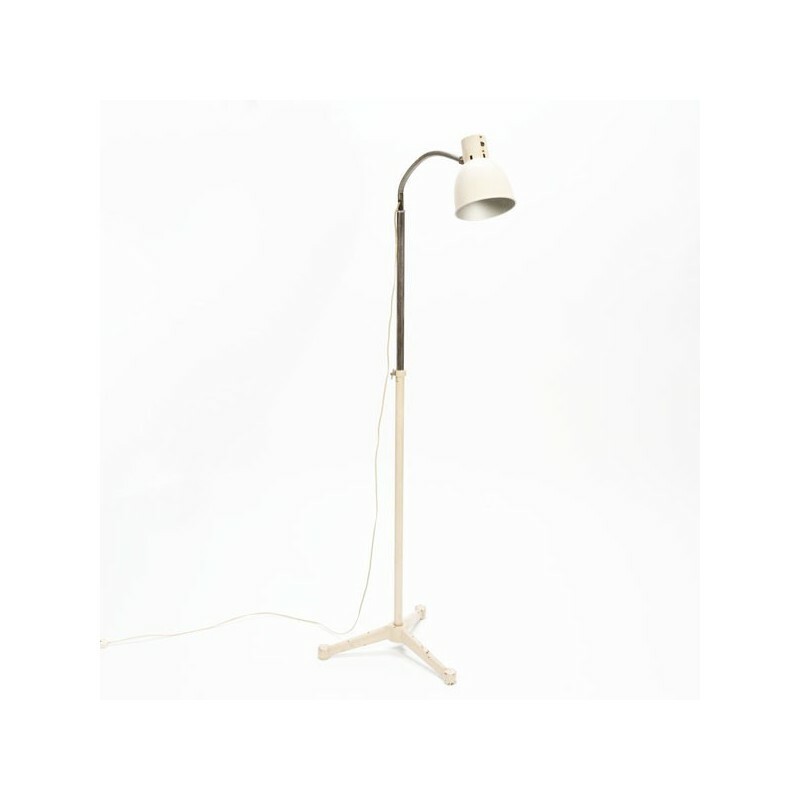 Vintage floor lamp from the Dutch brand Hala Zeist (marked). 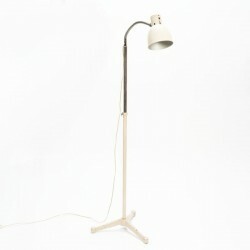 The lamp is adjustable in height of at least 110 cm up to 170 cm height. 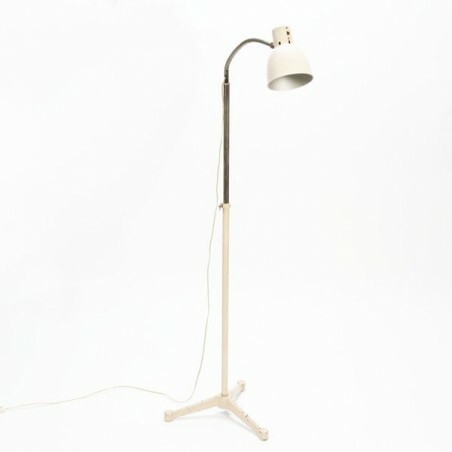 The condition is reasonable given the age, there are visible traces of use, see the detailed pictures. The size of the cap is 17.5 cm long and 14.5 cm in diameter.